Some heroes head over from Star City to help out the Batman! These two I picked up on a whim just because I really liked the models, and I was very glad that they looked just as good in the flesh. 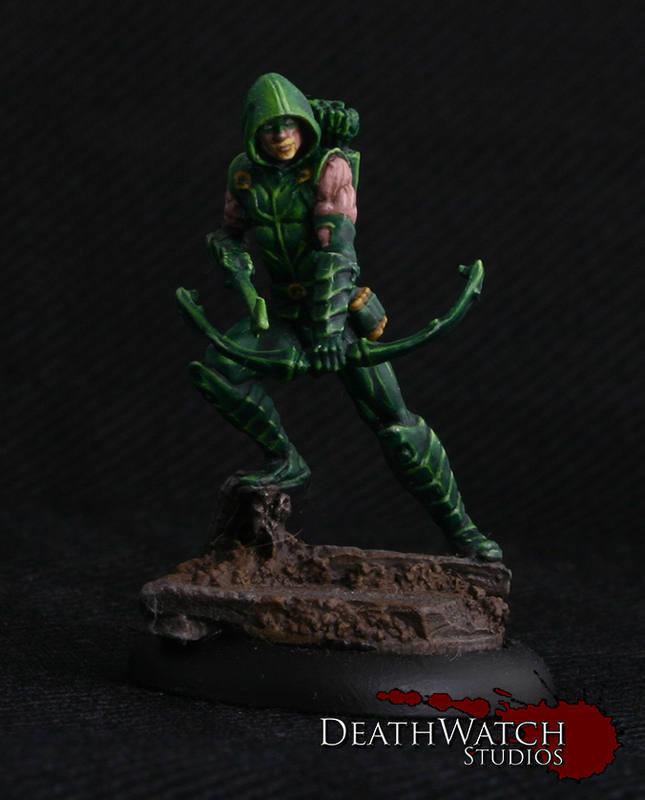 Green Arrow I found was a fairly easy one to paint because the majority of him is green, go figure eh :), and the details are so crisp the highlighting was really easy to get on with. Black Canary was a bit different. 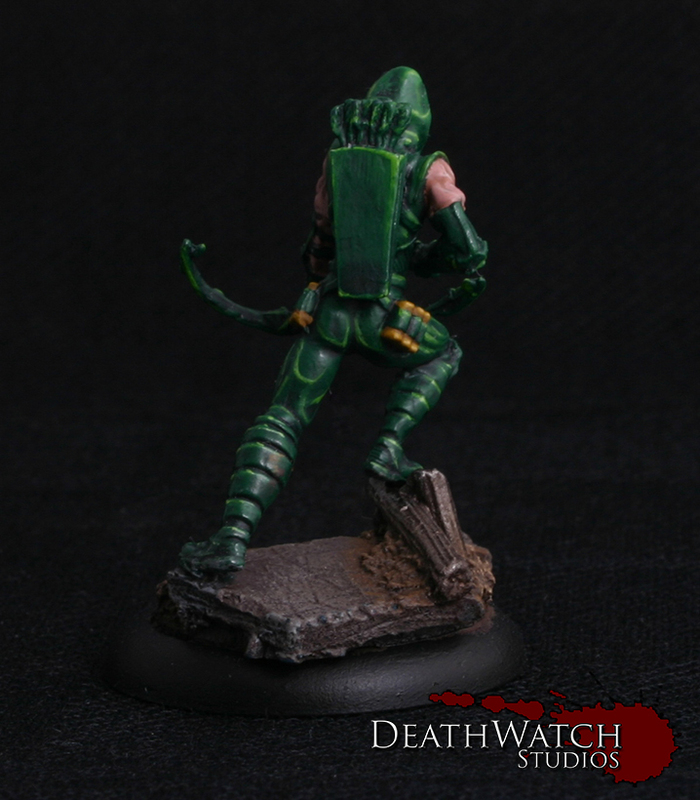 Everything was just as crisp as Arrow except for the tights, the crosshatch pattern was fairly flat in a few areas so it took a good amount of time and a steady hand to get them looking how I wanted. The only other thing I struggled with was the face. Due to the sculpt it is quite difficult to not make her look like a certain type of inflatable ;). Not being that familiar with the character I painted her up as Knight Models have and I wish I’d researched it a bit more before hand. 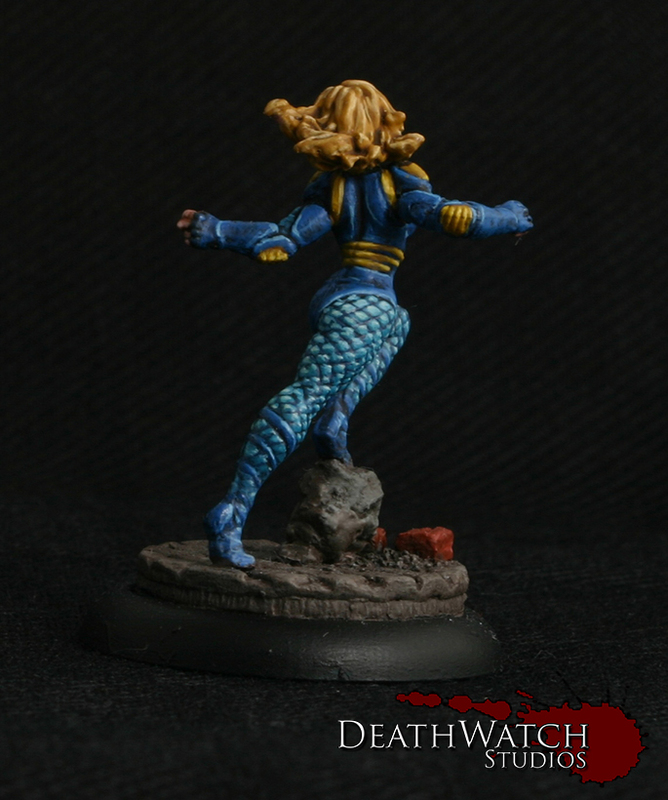 The models based off the New 52 look, which would mean I would rather have had the main body and arms a lot closer to black as she is in the comics. 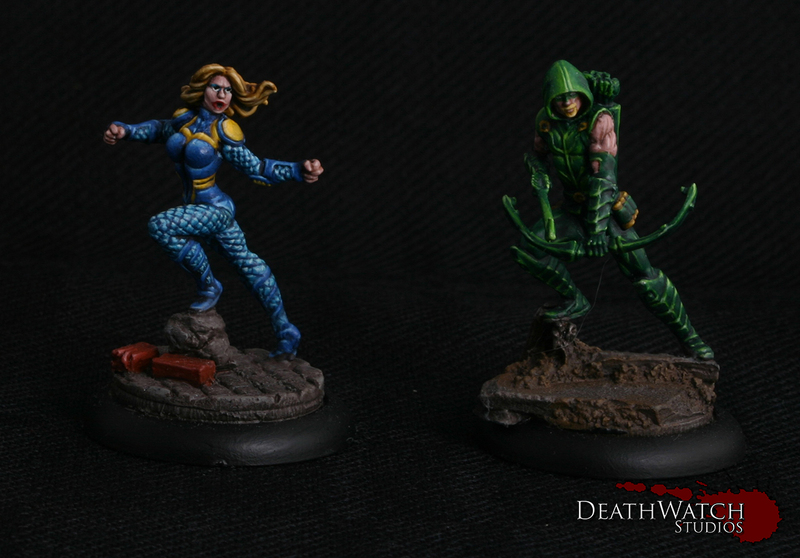 ← Knight Models – Red Hood & Batwoman!